Mr. and Mrs. Ron Rooker of Findlay, Ohio, announce the engagement of their daughter Joelle K. Lugabihl to Brian A. Gilbert, son of Vicki and Gary Gilbert, of Cincinnati, OH. The bride-to-be graduated from Findlay High School in 2011. She went on to obtain her Bachelor of Arts degree in Communication and Marketing from Bowling Green State University. She is currently employed at St. Joseph Orphanage in Cincinnati, Ohio. The groom-to-be graduated from Oak Hill High School, Cincinnati, in 2010. He went on to obtain his Associate’s Degree in Accounting from Cincinnati State. He is currently employed with the United States Postal Service. 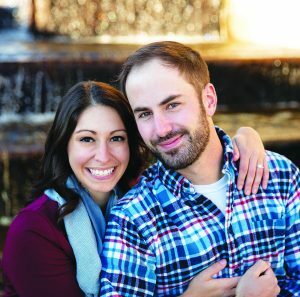 The couple is planning to wed on October 5, 2019, in Cincinnati, where they will reside.